The ACM SIGCOMM Test of Time Award recognizes papers published 10 to 12 years in the past in Computer Communication Review or any SIGCOMM sponsored or co-sponsored conference that is deemed to be an outstanding paper whose contents are still a vibrant and useful contribution today. The award is given annually and consists of a custom glass award. 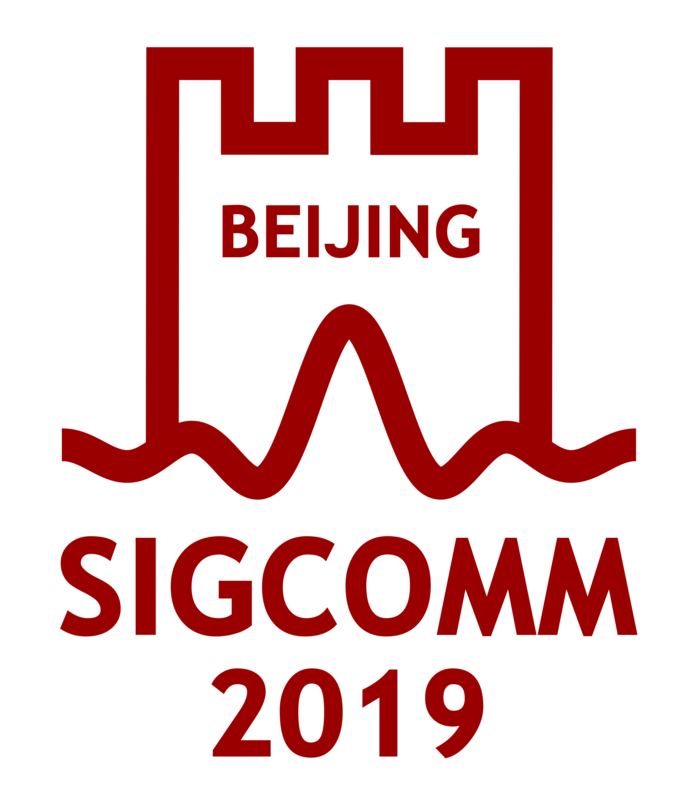 The paper is chosen by an award committee appointed by the SIGCOMM Award Committee Chair. This paper lucidly articulates a vision for what is today the standard structure of a data center network: commodity packet switches interconnected in a fat-tree topology. By posing and addressing practical challenges in data center networking, the authors drew attention to this then-emerging area, and propelled the community to consider the design of new networking techniques for the relatively ‘green field’ of the data center -- a research area that has flourished since. This paper's interdisciplinary team brought information-theoretic research on network coding to bear on the domain of wireless networks, with an ingenious new scheme for achieving capacity gains by jointly coding information from multiple flows into individual packets. This paper's design and implementation upended the networking community’s understanding of limits on wireless capacity and ushered in diverse work on capacity improvement in the decade that followed. "Ethane: Taking control of the Enterprise" by Martin Casado, Michael J. Freedman, Justin Pettit, Jianying Luo, Nick McKeown, Scott Shenker. SIGCOMM 2007. Ethane ushered in the age of Software-Defined Networking (SDN) and a new generation of research that inspired both academia and industry to design network control planes that we can reason about. "Measurement and analysis of online social networks", by Alan Mislove, Massimiliano Marcon, Krishna P. Gummadi, Peter Druschel, Bobby Bhattacharjee. IMC 2007. This is one of the first papers that examine multiple online social networks at scale. By introducing novel measurement techniques, the paper has had an enduring influence on the analysis, modeling and design of modern social media and social networking services . The 2017 award papers were selected by a committee composed of Walter Willinger (NIKSUN, Inc., chair), Katerina Argyraki (EPFL), Matthew Roughan (University of Adelaide), and Heather Zheng (University of Chicago). "Link-level measurements from an 802.11b mesh network" by Daniel Aguayo, John Bicket, Sanjit Biswas, Glenn Judd, Robert Morris . SIGCOMM 2004. "A first-principles approach to understanding the Internet's router-level topology", by Lun Li, David Alderson, Walter Willinger, John Doyle. SIGCOMM 2004. The 2016 award papers were selected by a committee of Vyas Sekar (CMU, chair), Ratul Mahajan (Microsoft Research), Dina Papagiannaki (Telefonica), and Jennifer Rexford (Princeton). Papers co-authored by the committee members were excluded from consideration. All remaining papers in SIGCOMM sponsored conferences from 2004 to 2006 (SIGCOMM, CCR, IMC, CoNEXT, SenSys, and ANCS) were candidates for selection. "A clean slate 4D approach to network control and management." by Albert Greenberg, Gisli Hjalmtysson, David A. Maltz, Andy Myers, Jennifer Rexford, Geoffrey Xie, Hong Yan, Jibin Zhan, and Hui Zhang. CCR October 2005. This paper led to a resurgence of interest in the topic of separated data and control planes to better manage networks that developed into Software Defined Networking (SDN). "Sizing router buffers", by Guido Appenzeller, Isaac Keslassy, and Nick McKeown. SIGCOMM 2004. This paper questioned the old rule-of-thumb for buffering at routers and contributed theory and experiments to show much less buffering is needed. It has ongoing relevance to issues such as bufferbloat and small buffers in commodity switching chips. XCP opened the door to a "second generation" of congestion control papers, building upon related TCP and ECN work, and with an understanding of traffic management not requiring per-flow state. The decoupling of congestion control from transfer efficiency underpins many of the subsequent TCP approaches, and influenced the TCP implementations in common use today. “Measuring ISP Topologies with Rocketfuel” by Neil Spring, Ratul Mahajan, and David Wetherall, , SIGCOMM 2002. Rocketfuel contributed methods to make efficient measurements for ascertaining Internet router-level topologies, useful for the modeling and simulation of routing, transport protocols, and graph evolution, to name a few areas. In addition, this effort produced a dataset used by a number of subsequent efforts. One recent (2011) text describes this dataset as: "the most trustable existing dataset for Internet service provider (ISP) networks." Rocketfuel topologies have also been incorporated into popular simulation tools such as ns-3. PlanetLab: an overlay testbed for broad-coverage services, Brent Chun, David Culler, Timothy Roscoe, Andy Bavier, Larry Peterson, Mike Wawrzoniak and Mic Bowman, Proc. SIGCOMM CCR, Volume 33 Issue 3 (July 2003). For catalyzing a qualitative change in the nature of experimental networking research. By overcoming barriers to planetary scale experimentation and deployment, the authors---and their enduring testbed artifact---ushered in a new era of empirically validated network protocol design, catalyzed community-wide attention to the thoughtful construction and employment of appropriate research infrastructures, testbeds, and measurement platforms, and helped to foster a now vibrant research area focused on understanding Internet-scale network phenomena. A delay-tolerant network architecture for challenged internets, Kevin Fall, Proc. SIGCOMM 2003. For anchoring a line of network architecture research that represented a sharp conceptual break from the internet-centric focus of the community at the time, substantially broadened the scope of applicability of networked computer communication, and remains a vital and active research topic today serving domains ranging from resource-poor rural environments to interplanetary space science support. Tussle in cyberspace: defining tomorrow's internet, David Clark, Karen Sollins, John Wroclawski and Bob Braden, Proc. ACM SIGCOMM 2002. The "Tussle in Cyberspace" paper observed that different parties involved in the Internet's evolution can have interests that were directly at odds and that the conflict between these interests has a direct effect on the success or failure of efforts to update, rework or add features to the network. The paper, and its expanded version published a few years later in IEEE/ACM Tranactions on Networking, forced network architects and protocol designers to recognize the swirl of conflicting demands that could enable or derail their vision, and brought the term "tussle" into widespread use as a reminder of those demands. Chord: A Scalable Peer-to-peer Lookup Service for Internet Applications, Ion Stoica, Robert Morris, David Karger, M. Frans Kaashoek, Hari Balakrishnan, Proc. ACM SIGCOMM 2001. A Scalable Content-addressable Network, Sylvia Ratnasamy, Paul Francis, Mark Handley, Richard Karp, Scott Shenker, Proc. ACM SIGCOMM 2001. An analysis of BGP convergence properties, by Tim Griffin and Gordon Wilfong. SIGCOMM 1999. On Power-Law Relationships of the Internet Topology, by Michalis Faloutsos, Petros Faloutsos, and Christos Faloutsos. SIGCOMM 1999. A Digital Fountain Approach to Reliable Distribution of Bulk Data, by John Byers, Michael Luby, Michael Mitzenmacher, and Ashutosh Rege, Proc. of ACM SIGCOMM 1998. Internet Routing Instability, by Craig Labovitz, G. Robert Malan, and Farnam Jahanian, Proc. of ACM SIGCOMM 1997. The Macroscopic Behavior of the TCP Congestion Avoidance Algorithm, by Matthew Mathis, Jeffrey Semke, Jamshid Mahdavi, and Teunis Ott, CCR 27(3), 1997. Modeling TCP Throughput: A Simple Model and Its Empirical Validation, by Jitendra Padhye, Victor Firoiu, Don Towsley, and Jim Kurose, Proc. of ACM SIGCOMM 1998. Towards an Active Network Architecture, by David L. Tennenhouse and David J. Wetherall, CCR 26(2), April 1996. In 2006, SIGCOMM presented the test-of-time award to the authors of the notable papers from 1969 to 1995 that were published in a special issue of ACM SIGCOMM Computer Communications Review in January of 1995. End-to-End Routing Behavior in the Internet, by Vern Paxson, Proc. of ACM SIGCOMM 1996.